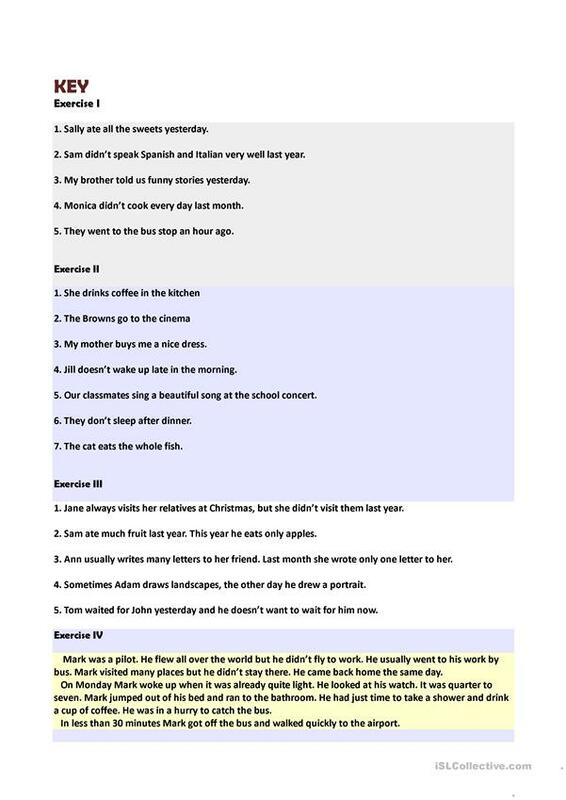 This worksheet consists of four exercises dealing with two simple tenses: Present and Past Simple, with key on page 2. The present downloadable printable is recommended for high school students and elementary school students at Elementary (A1) and Pre-intermediate (A2) level. 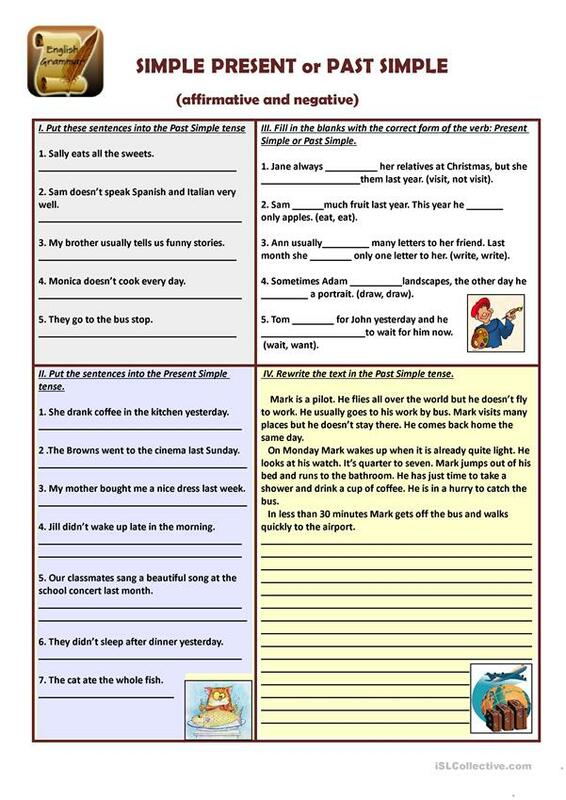 It is great for consolidating Past simple tense in English, and can be used for strengthening your learners' Spelling, Reading and Writing skills. The solutions are provided, too.